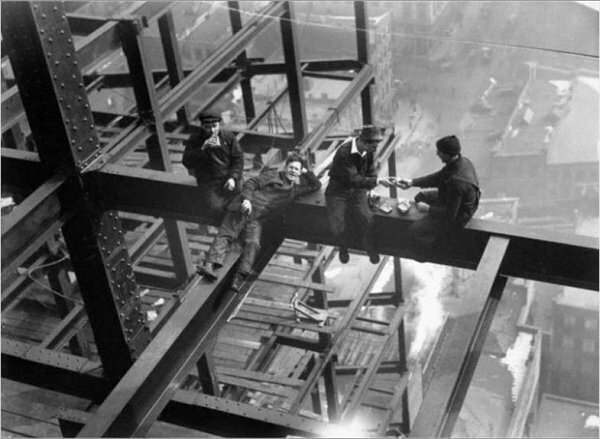 Charles Clyde Ebbets was an American photographer, most famous for his photograph Lunchtime atop a Skyscraper, which he took among others on the construction area of Rockfeller Center. Original image by Charles C. Ebbets. If one steel beam is edited the impossible triangle appear in the steel construction, which you can see below. Unfortunately, I don't know who created this photo montage. If you have any information about author please send e-mail to me impossible.world@gmail.com. 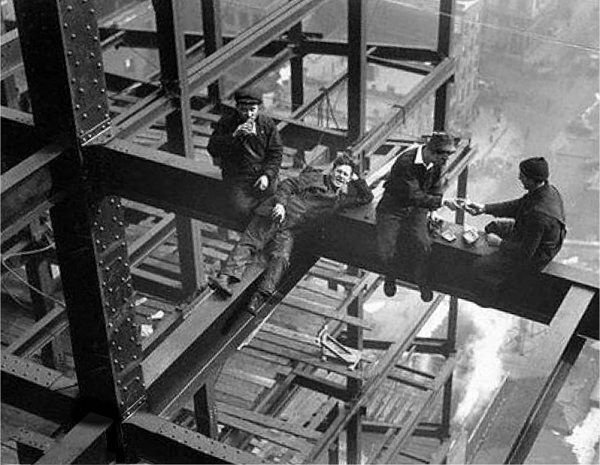 The image was found at http://deskarati.com/2012/04/25/steelwork-illusion/.